Epigenetic regulators that modify factors involved in switching genes on and off represent attractive anticancer targets, but whether this strategy will work in vivo hasn’t yet been proven. Studies in mice by researchers headed by a Boston Children’s Hospital team now suggest that blocking one epigenetic regulator—a histone methyltransferase known as G9a—which was thought to represent a promising target for lung cancer actually had the opposite effect, and boosted the numbers of cancer stem cells, or tumor propagating cells (TPCs) that drive cancer progression. Their studies also found that inhibiting G9a-regulated genes repressed TPCs in mice, resulting in fewer lung tumors. Studies by the Boston Children’s Hospital team now suggest that blocking G9a may have the opposite effect expected and actually promote cancer growth. Initial studies in adenocarcinoma cell lines showed that treatment with G9a led to cells becoming more stem-like. The team then transplanted cancer stem cells into mice and followed tumor growth. 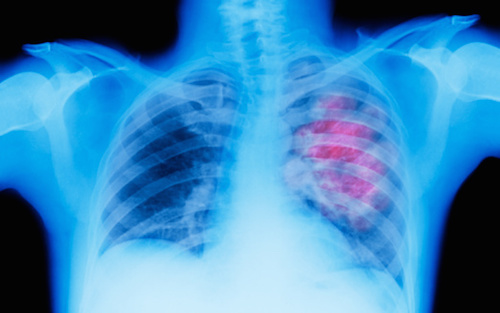 They found that animals receiving cells in which the G9a gene had been knocked down were more likely to develop lung tumors and metastases than animals receiving transplants of cells with functional G9a. Further studies showed that lack of G9a was associated with increased numbers of TPCs. “These results suggest that G9a loss drives lung adenocarcinoma progression and metastasis by increasing the proportion of TPCs within the tumor,” the researchers wrote. G9a isn’t commonly mutated in human lung adenocarcinomas, but the team’s analysis of data from hundreds of adenocarcinoma patients found that higher G9a expression correlated with much better 10-year survival. Interestingly, they also found that high expression levels of KDM3A, a lysine demethylase (KDM) that acts to demethylate H3K9, was linked with worse 10 years survival. Although cancer stem cells haven’t been identified in human adenocarcinomas, research lead Carla Kim, Ph.D., believes that the findings are worth pursuing, especially given a line of evidence from a 2017 study suggesting that demethylase inhibitors could kill chemotherapy-resistant cells from patient tumors. The team envisages a treatment strategy for adenocarcinoma that would initially target the bulk of the cancer cells, and then use a treatment to specifically target cancer stem cells.